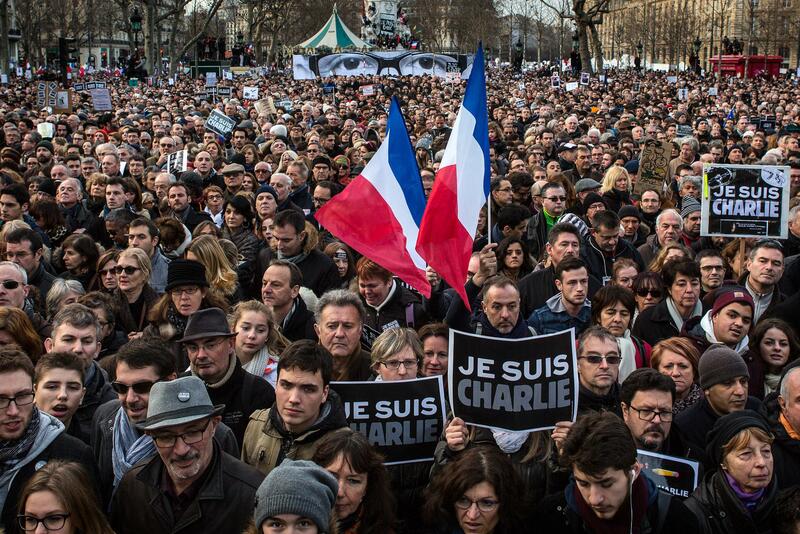 Je Suis Charlie: More than 40 world leaders head up massive Paris march. 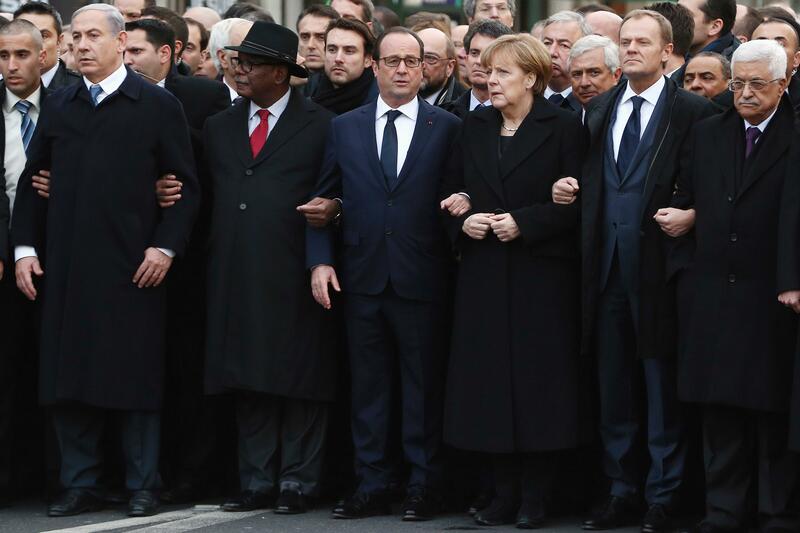 World leaders and dignitaries attend a mass unity rally on Jan. 11, 2015, following the Paris terrorist attacks. Leaders from across the world, including some countries with less-than-stellar records on freedom of expression, linked arms and headed up a massive unity rally through the streets of Paris on Sunday to pay tribute to the 17 people killed in France by Islamist terrorists this past week. More than 1 million are expected to take part in what could very well be the largest march through the streets of Paris in modern times, notes Reuters. 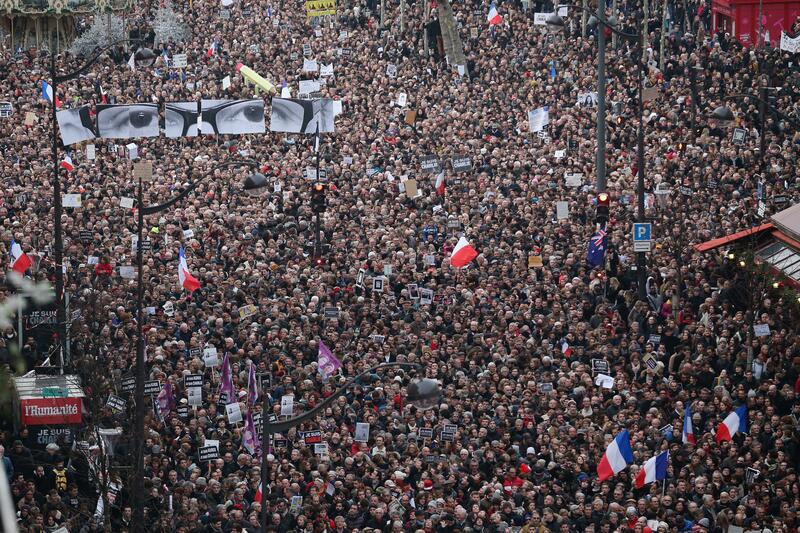 Demonstrators make their way along Boulevard Voltaire in Paris. “Paris is today the capital of the world. Our entire country will rise up and show its best side,” said French President François Hollande . 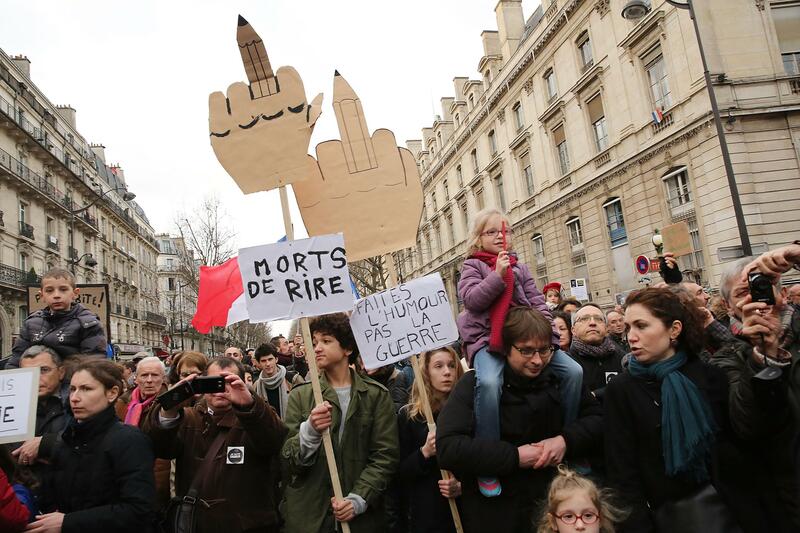 Demonstrators make their way along Place de la République in Paris. Families of the victims also joined the front of the march, which included Hollande, German Chancellor Angela Merkel, British Prime Minister David Cameron, Spanish Prime Minister Mariano Rajoy, Israeli Prime Minister Benjamin Netanyahu, and Palestinian President Mahmoud Abbas. Other leaders included Russian Foreign Minister Sergey Lavrov, Turkish Prime Minister Ahmet Davutoglu, and Jordan’s King Abdullah II and Queen Rania, details CNN. 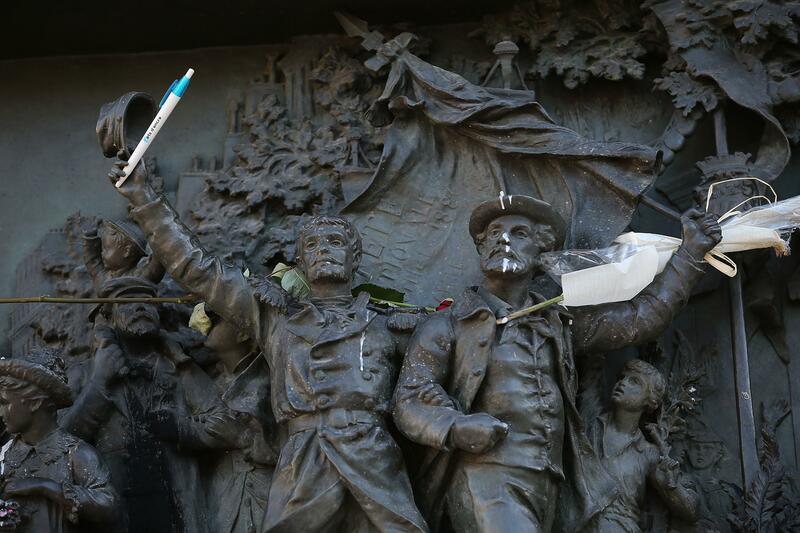 A statue is modified with a pen in a show of defiance as demonstrators gather in Place de la République. The largely silent march, punctuated by moments of deafening applause and chants of “liberté” and “Charlie,” took place under tight security, including about 2,000 police officers and 1,350 soldiers, reports the BBC. Some carry signs, some carry pens, some carry both. 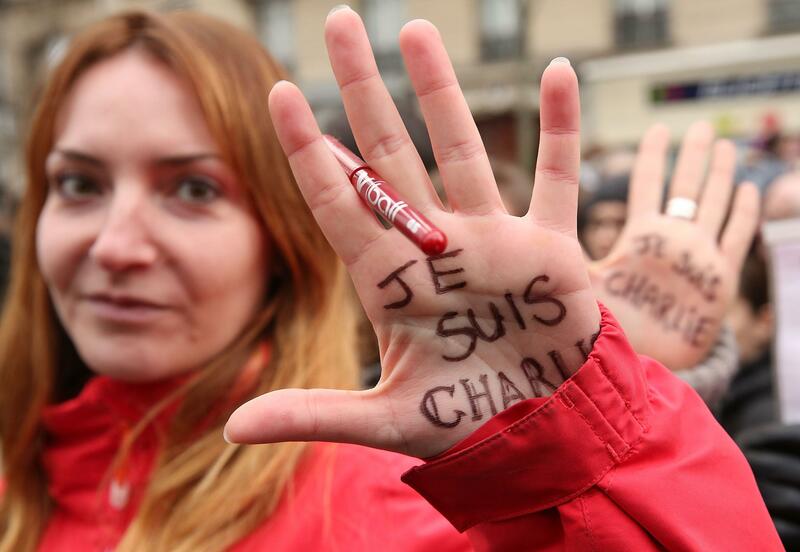 “Everywhere is the slogan ‘Je suis Charlie’ (‘I am Charlie’): on homemade placards, on armbands, on T-shirts,” writes the BBC’s Patrick Jackson. There were also banners and buttons with other slogans, including “Je suis Ahmed” and “Je suis Juif” (I am Jewish). Marches and demonstrations were also planned in other cities across the world, including London, Madrid, Berlin, and New York. 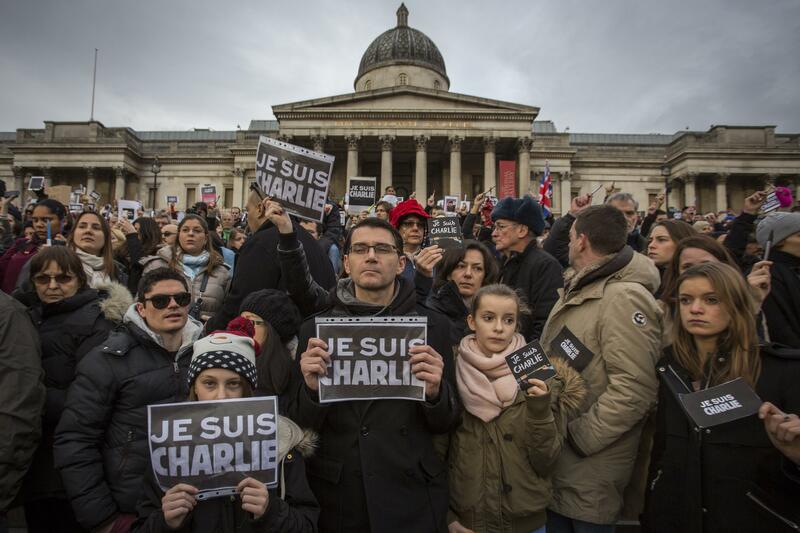 People gather in Trafalgar Square in London on Jan. 11, 2015, in memory of the victims of the terrorist attacks in Paris. 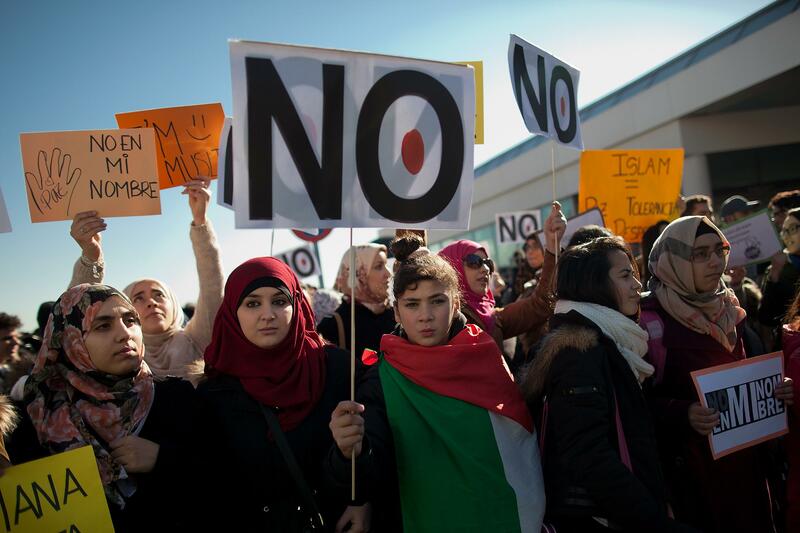 A Muslim protester holds a placard reading “No” as others hold placards reading “Not in my name” during a demonstration outside Atocha Station in Madrid on Jan. 11, 2015. A participant holds up a large pen during a rally in tribute to the 17 people killed in the terror attacks in France and in support of press freedom at the Pariser Platz in Berlin on Jan. 11, 2015. Read more of Slate’s coverage of the attacks in Paris.